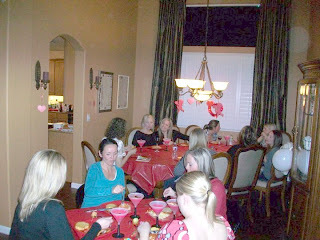 February Bunco was love themed... our own little Valentine's Day celebration! It was a wonderful night. 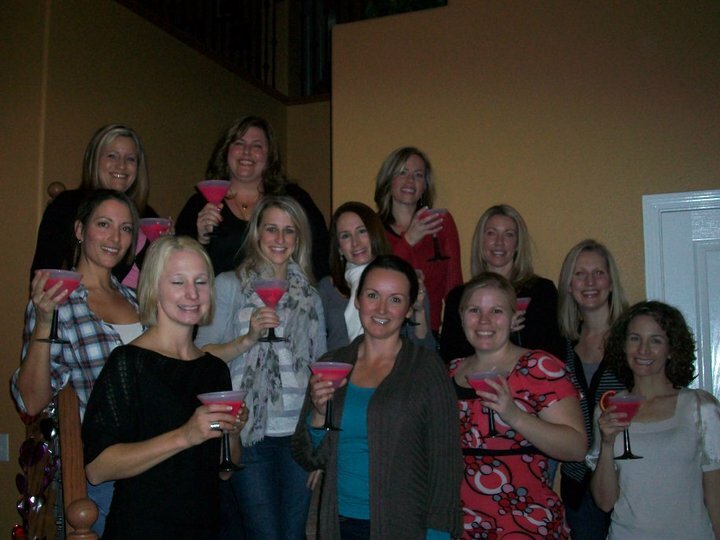 Delicious drinks, and a sweet homemade Italian dinner by a special chef! It is such a treat for me to spend time with these girls! At one point during the game, our head table broke out in a dance party - we all lost track of where we were... but who cares, it was hilarious. I LOVE Bunco. So fun! That's a fun theme! So cute! And look at your fun martinis!! Agh! Love it! I want to come to Bunco!!! :) And loving the new header! looks like you had a blast - how much fun!! i have never played bunco before but it looks like ya'll had so much fun!!! :) i think it's super cute that you guys have a theme as well! 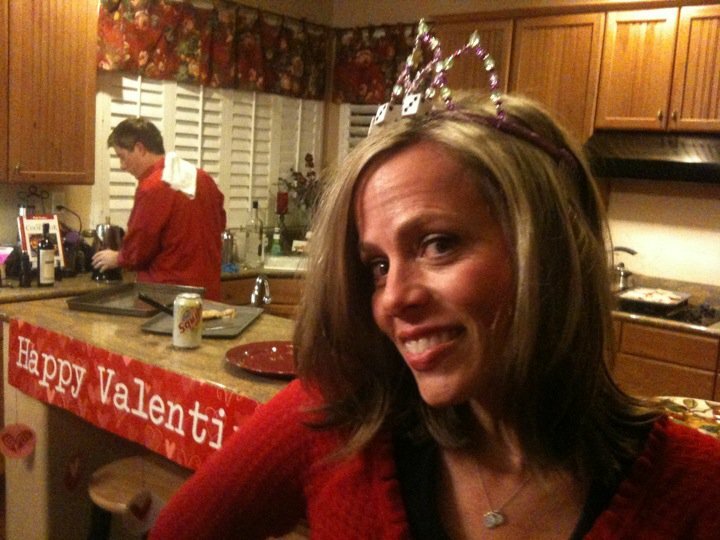 Bunco is fun. 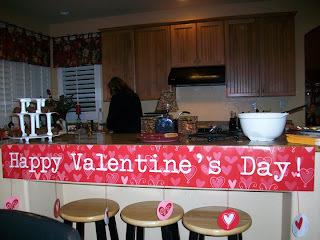 What a good husband! Sounds like all of you had a blast. Looks like a lot of good fun and good food! Love it and how fun! 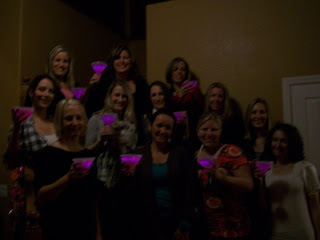 I need the recipe/ secret for glow in the dark tinis; those would be a hit with my girls! 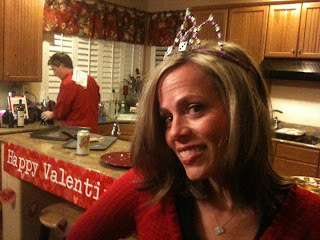 Hi, stopping over from Jess' blog. Those glow in the dark martinis are great! How adorable is that?! Love it! Glow in the dark drinks?! What's the secret to that? So cool! how fun!! love those glasses!! 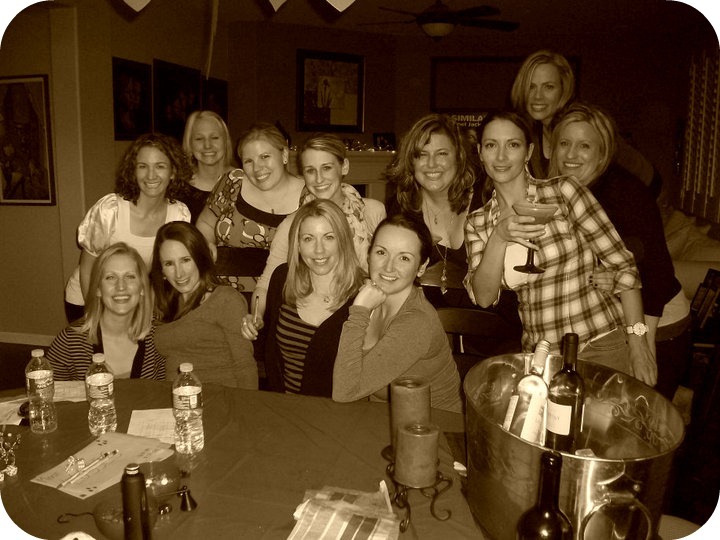 Your makng me want to join your Bunco group! Ohhh so fun! Love celebrating with friends!